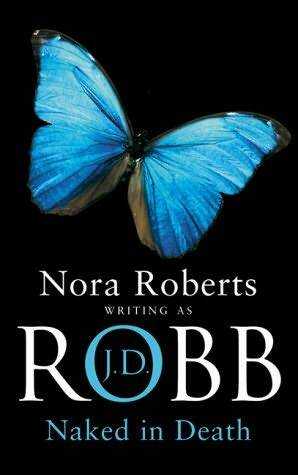 Much as I have loved reading Nora Roberts’ aka J.D. Robb’s in Death series over the years, I am sorry to say that I’ll have to stop reading them. There are 41 books in the series now and up until book 36, Calculated in Death, high standards of writing, plot and characters were maintained. However, there was a gradual deterioration after that and the latest, Concealed in Death, appears to be written by someone else completely. I do not recognize the style of writing and there is a distinct lack of clarity in the plot. It is as if someone tried to copy J. D. Robb but did a bad job. 1. 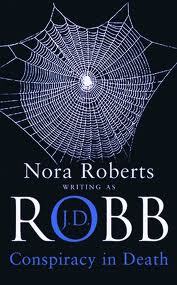 Naked in Death, this is the first book in the series, where the readers are introduced to Eve Dallas a NYPSD (New York Police and Security Department, a fictional mid 21st century police department created by the author) Lieutenant and a business tycoon Roarke, who is another major character throughout the series. Naked in Death completely hooked me and I knew this was a series I had to follow. The in Death books have every ingredient that I love. There is crime, drama, romance, fantasy and a bit of futuristic thrown in. To those who haven’t read the series please follow the link down below to the J.D. Robb website. The ‘story so far’ as quoted below is from the fans section of the website. Spoiler Alert! Contains key plot points from the In Death series. Please see the full books list for a quick series reference. The In Death series begins in the year 2058 (with Naked in Death, July 1995), after an outbreak of warfare a few decades earlier known as the Urban Wars wreaked havoc across the globe and led to widespread destruction and death. After the wars, cities focused on renewal and revitalization. A series of resorts and vacation spots, such as Vegas II, exist off-planet in space, which is also where the majority of prison populations exist. On-planet, streets are filled with cars on the ground and in the air, able to switch between hovering and driving. Multiple high-tech gadgets exist in this era, like the AutoChef, which cooks meals and brews coffee, and ‘links, which are types of videophones used as a means of communication, but can also transfer data and hold information, almost like a circa 2010 PDA or smart phone. Lieutenant Eve Dallas works as a homicide detective for the NYPSD (New York Police and Security Department). 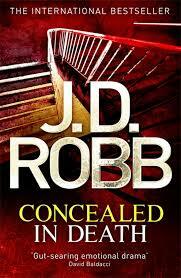 In the first book of the series, Naked in Death, Eve is a loner when she first meets Roarke, an enigmatic Irish billionaire and a suspect in her most recent case. Although it jeopardizes her case and her career, she falls for him and Roarke becomes her first and only love. They get engaged at the end of Glory in Death, the second book, after Roarke replicates Eve’s former apartment in his house and she moves in. Eve continues to grapple with their relationship and her growing dependence on him during the first two books. The couple is married shortly after the end of book three, Immortal in Death. It is Eve’s childhood that continues to torment her: she was abused and repeatedly molested by her father, a seasoned criminal, and her apathetic mother was a drug addict and prostitute. At age eight, Eve was found in an alley in Dallas, Texas, covered in blood and with no memory of who she was or what happened. She was given the name Eve and put into foster care. Eve’s foster mother was no saint in the ten years that she had Eve under her roof, and she resurfaces in Memory in Death (book twenty-three), to blackmail Roarke to keep Eve’s childhood out of the headlines. Because of her ability to solve the more difficult and high-profile cases, Eve had recently become a media darling. Through nightmare flashbacks, Eve comes to learn what happened to her before her childhood memory loss and has the worst of these in Immortal in Death (book three) when she realizes she stabbed her father to death while he was attacking her. Eve begins to piece together the fragments of her childhood from these flashbacks, and more than once, it involves a connection to a current case, like in Judgment in Death (book eleven), where the perpetrator was a business associate of her father’s, and from whom her father stole money. Once Eve marries Roarke, the nightmares become less wracking because he is one of the few people in her life to give her unconditional love and she feels safe with him. Throughout their relationship, their previous demons become less haunting as they build a life of love and trust, the first real family either has ever known. Though Eve has solved homicides of every conceivable nature, she doesn’t solve every case immediately, or sometimes at all. A recent case came back to haunt Eve in Creation in Death (book twenty-five), when a serial killer who she never caught, nicknamed The Groom, returned to claim Eve as his final kill. But because of her own horrific childhood, the cases Eve finds most difficult are those centered on missing and exploited children and she often becomes deeply entrenched in the lives of the victims, seeking justice with an obsessive intensity. Eve is an honest cop, though her passion for the job leads her to sometimes make emotional decisions that come back to haunt her. In fact, much of Eve’s strength comes from her flaws. She has been investigated by Internal Affairs, even having her badge taken away in Conspiracy in Death (book eight) when she is suspected of killing another cop. In Ceremony in Death (book five), Eve takes on a case behind the back of her former partner and mentor Captain Feeney, and puts strain on their relationship. Many of Eve’s cases also have a personal impact on her and Roarke, especially given both of their fathers have extensive criminal pasts. In Divided in Death (book nineteen), Roarke confirms that his father was in Dallas doing business with Eve’s father right before she killed him in self-defense, connecting the two even then. In Judgment in Death (book eleven), a former business associate of Roarke’s is seeking retaliation by attempting to kill Eve. In many ways, this couple was destined to be together. 2. Conspiracy in Death is a favourite for no other reason than it complicates matters by Eve Dallas being suspended from the job while on an investigation. This story tests the strength of each character profile. What I enjoy about these books are how strong all the women characters are, somewhere women in the world now would like to be. However, strong female characters does not mean that the males are weak. They are not. It is a beautiful and ideal balance. What is not to love about a world where you can fly over the approaching traffic and escape it! Gender equality is a reality. Man has conquered other planets and the common man can travel there. Unfortunately quality of air travel has deteriorated for the economy traveller. Both, for intercontinental as well as inter-galactic. I’ll be sad not to read about life in the 2060’s any longer but I’ll keep an eye out for reviews. If the next book is better and more authentic than the last, then, why not? This entry was posted in Book Reviews, Crime Fiction, Fantasy, Uncategorized and tagged bestseller, Crime, Fiction, futuristic, J.D. Robb on April 15, 2014 by driftingtraveller. As a crime and mystery aficionado I always play a guessing game with myself, while reading crime fiction. I am thrilled to say that I failed this time. 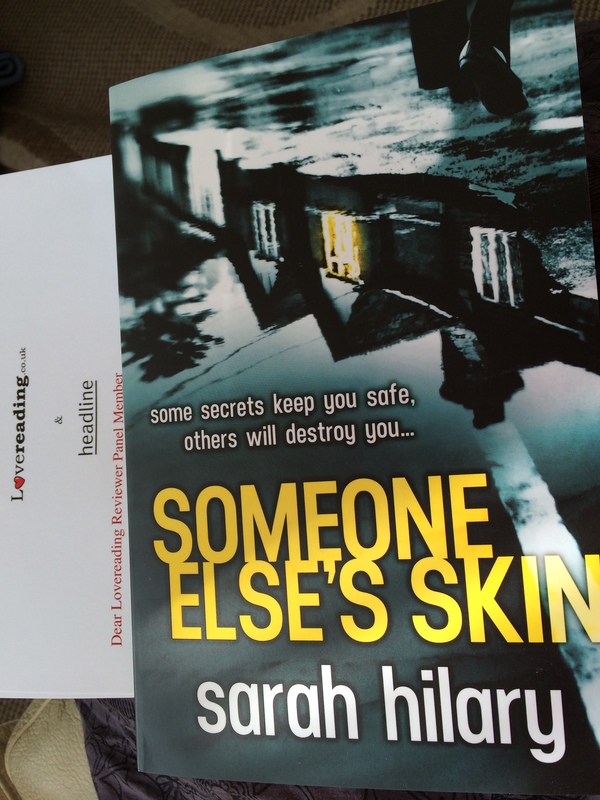 Sarah Hilary’s Someone Else’s Skin is eerily unpredictable. With quite a few story lines, it is not until you are half way through, that you see light. The beginning is like a mass of untidy knitting where every tangled yarn confuses you more. However, when you see light at the end of the tunnel, you have unraveled the mystery just like DI Marnie Rome and you also realize, that the confusion in the beginning is not confusion at all, but exactly what the characters feel. The multiple themes of crime and violence are dealt with very well and you understand how skilled Hilary is. The author did not tread softly around sensitive issues like gender, culture,race and sexual violence, instead she had a very sympathetic approach to it, which made the plot and the characters very believable and real to the readers. Ayana Mirza and Stephen’s story was left hanging in the air and I wish there was more to it because the story starts with these two characters in a pivotal role. They are abruptly cut off as soon as DS Noah Jakes and DI Marnie find the not-quite body in the refuge. However Sarah Hilary has shown a lot of promise and talent and I will definitely recommend the book to Crime Fiction and contemporary novel readers. 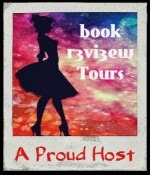 This entry was posted in Book Reviews, Crime Fiction and tagged Crime, Fiction on February 26, 2014 by driftingtraveller.